In a junior high class in Queens, New York, Ross Berman is teaching fractions. He wants to know whether his students are getting the key concept, so he posts a question in Google Classroom and instantly reviews their answers. It’s his favorite way to check for understanding before anyone has the chance to fall behind. Across the country, in Bakersfield, California, Terri Parker Rodman is waiting at the dentist’s office. She wonders how her class is doing with their sub. With a few swipes on her phone, she finds out which students have finished their in-class assignment and sends a gentle reminder to those who haven’t. 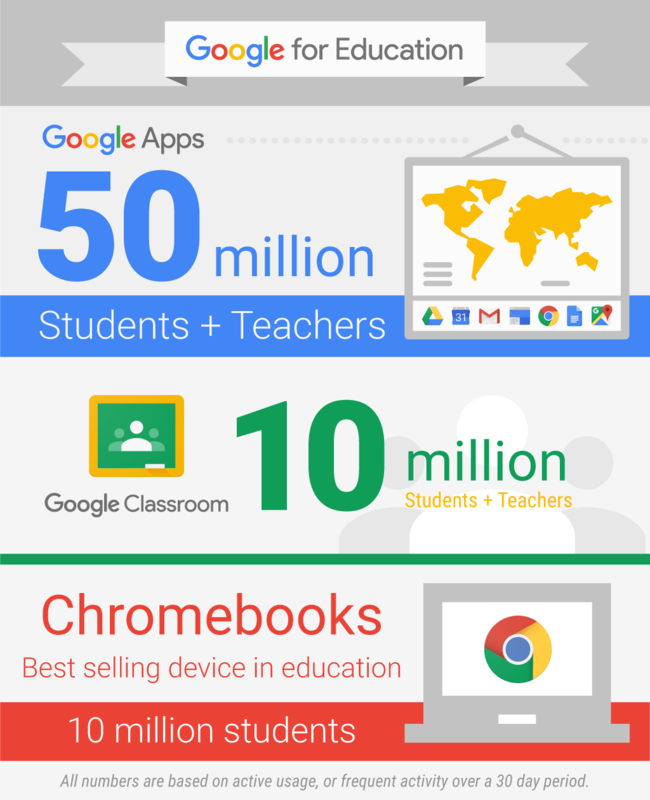 Google Classroom launched last August, and now more than 10 million educators and students across the globe actively use it to teach and learn together, save time, and stay organized. We worked with teachers and students to create Classroom because they told us they needed a mission control – a central place for creating and tracking assignments, sharing ideas and resources, turning in completed work and exchanging feedback. 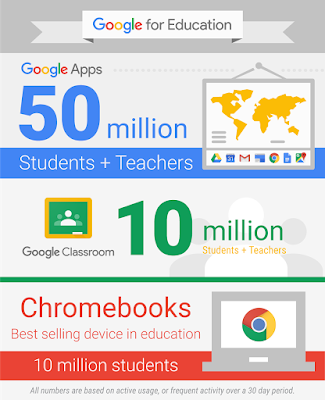 Classroom is part of Google’s lineup of tools for education, which also includes the Google Apps for Education suite – now used by more than 50 million students, teachers and administrators around the world – and Chromebooks, the best-selling device in U.S. K-12 schools. Here are a few of the stories we’ve heard from teachers and students who are using Classroom. We built Classroom to help educators spend less time on paperwork and administrative tasks. But it’s also proven to be highly effective at bringing students and teachers closer together. In London, fifth grader Kamal Nsudoh-Parish stays connected with his Spanish teacher while he does his homework. “If I don’t understand something, I can ask him and he’d be able to answer rather than having to wait until my next Spanish lesson,” Kamal says. In Mexico City, teachers at Tec de Monterrey high school and university switched to Classroom from an online learning management system that often added complexity to their workflow instead of simplifying it. Professor Vicente Cubells says he’s found the new question feature in Classroom particularly useful for short quizzes, because he can quickly assess learning and have an automatic record of their responses and grades. “The Classroom mobile apps have also become essential for our faculty and students, we use them to stay connected even when we’re not in front of a laptop,” Cubells said. Teachers are some of the most innovative thinkers in the world, so it’s no surprise that they’ve used Classroom in ways we never even imagined. Elementary school teacher Christopher Conant of Boise, Idaho, says his students are usually eager to leave school behind during summer break. But after using Classroom last year, they wanted to keep their class open as a way to stay in touch. “Classroom is a tool that keeps kids connected and learning as a community, well beyond the school day, school year and school walls,” said Christopher, who continued to post videos and questions for his students all summer long. Ever since we began working with teachers and students, it's been rewarding and encouraging to hear their stories, collaborate to find answers to their problems, and watch those solutions come to life at schools and universities around the world. Lucky for us, we’re just getting started.